In 2014 social enterprise We Love Brixton and 2MZ co-founded Brixton Design Week, which launched Brixton as a destination at the London Design Festival. The following year our work organising the event continued, but this time with the help of architects Squire and Partners. The week was renamed Brixton Design Trail and, supported by Lambeth and Brixton BID, a wealth of home-grown talent was brought together for the London Design Festival 2015. One of the headline events was Pleasure Garden, 2MZ's collaboration with Black Cultural Archives (BCA). 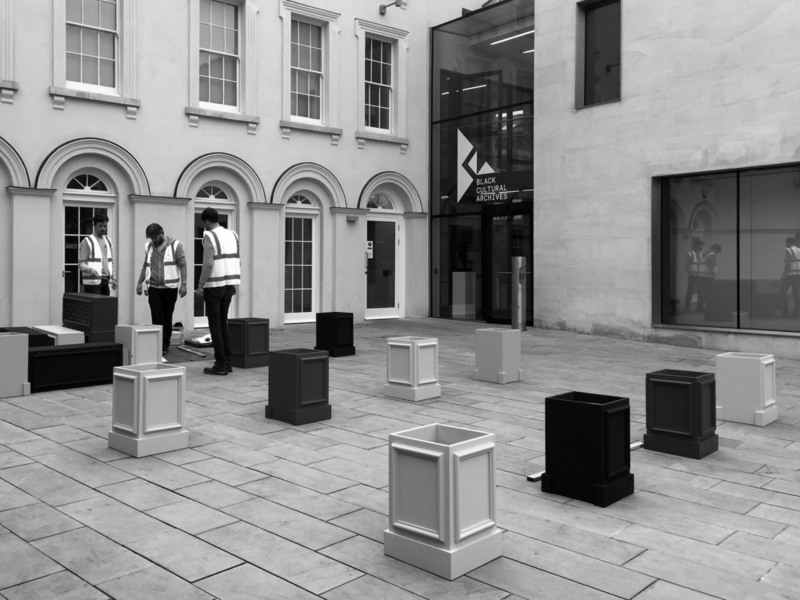 Our brief from BCA was to create a playful and interactive installation for their courtyard which would complement their forthcoming exhibition The Black Georgians. Research drew us to pleasure gardens as, unusually for Georgian Britain, these were places Londoners from all backgrounds mingled. We liked the idea of a pleasure garden in Brixton, one of the most diverse areas in the UK. We wanted the design to work in harmony with the restored stucco facades of BCA’s Raleigh Hall, a Grade II listed Georgian building, as this would help us echo the era of the exhibition. 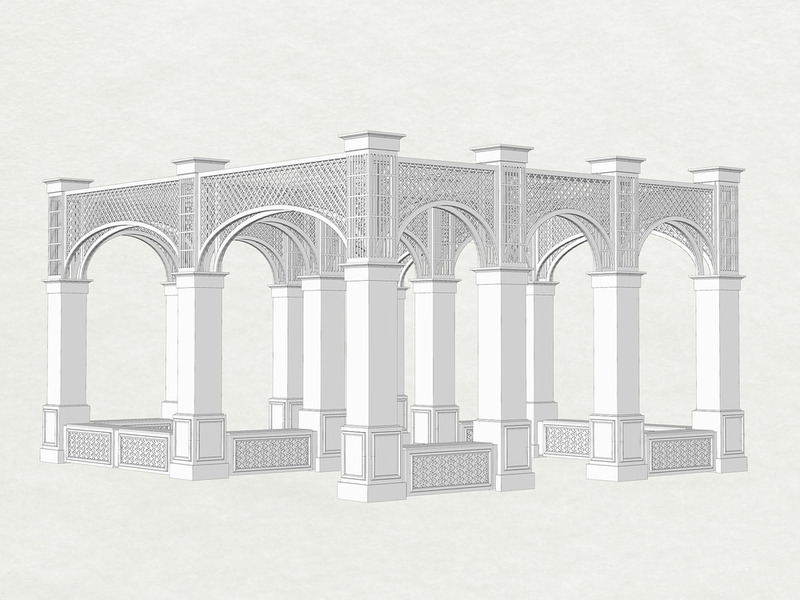 Taking elements of classical pavilions found in traditional pleasure gardens, such as colonnades and arches, we used contemporary materials to create a space which immersed visitors in reflection, pattern and illusion. The colours were one of the last elements to be resolved and we took inspiration from a piece of Ghanian kente cloth for the final selection. 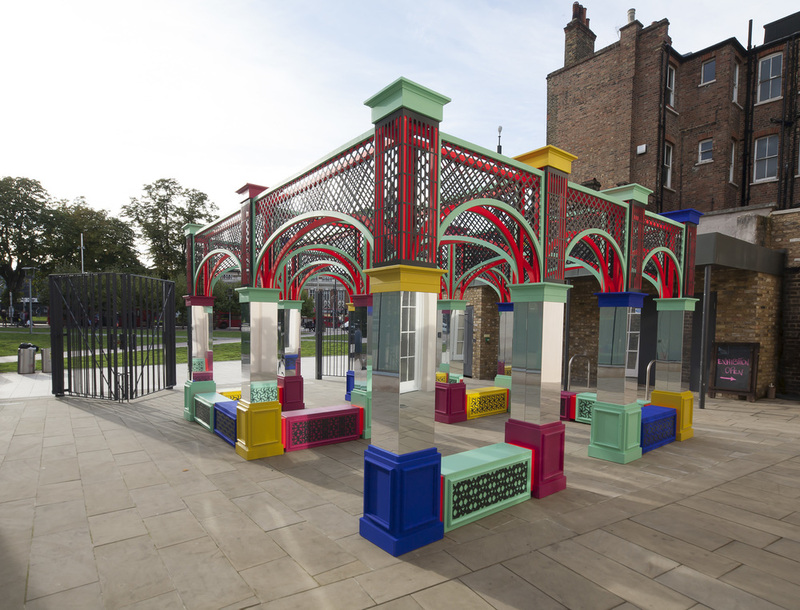 Pleasure Garden was cited as a London Design Festival highlight (out of +400 events) by several sources, including, World of Interiors, Londonist, The Spaces, Highsnobiety and by Munira Mirza, the Deputy Mayor of London for Education and Culture. 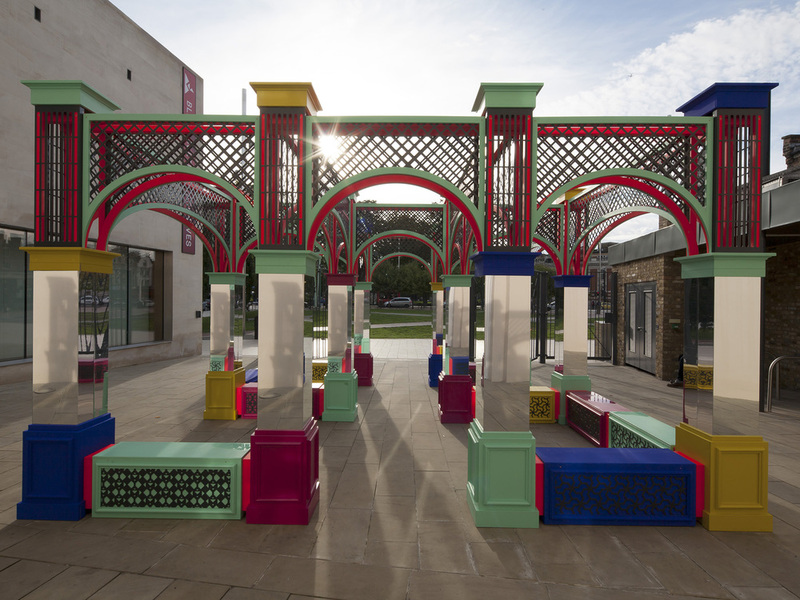 Images of Pleasure Garden were among the London Design Festival’s most popular Twitter and Instagram posts. The installation proved such a hit with visitors that BCA kept it in place for an additional two months after the Festival.